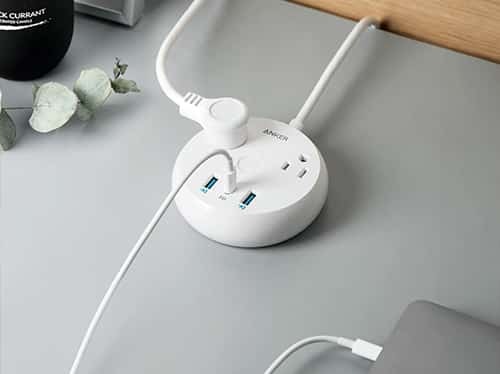 Power your entire workstation with an innovative, space-saving powerstrip-meets-desktop charger. Transform one AC outlet into a charging and power station for your entire electronics arsenal. Get high-speed charging via the Power Delivery port for your USB-C phones, tablets, laptops, and more. Toggle the USB power on and off with a single large, easy-to-reach button. Use the included adhesive strips to stick on the wall, the side of your desk, and more.